Built and tested to British Standards this space saving bunk bed is finished in a stone coloured lacquer. The bunk bed comes complete with two quality single mattresses. 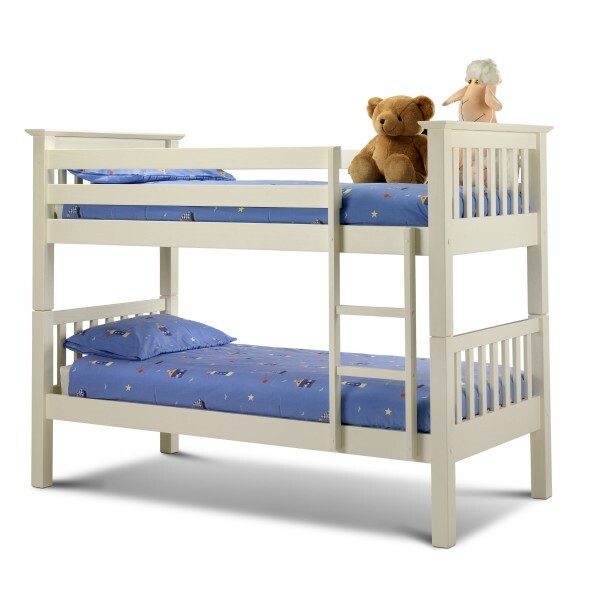 Safety Advice: The top bunk is not suitable for children under 6 years old or children weighing 12 stone or more.